‘I hope this is ok, but we brought in this new line of scarves…’ the voice over the phone said, a bit nervous sounding. But pretty much everything we bring into the store gets our approval before it hits the shelves. In this case they were nicely displayed, priced, tagged before we even heard of them. Greg, the owner of Shawl Wallah walked into our store earlier that day to show us his goods. This isn’t that rare an occurrence in our business. In addition to our own research and discovery, we get pitched on new products fairly often. In person, over email, and so on. Some of it fits, some doesn’t. It’s just how it goes. Riva and were home doing some combination of office work and playing with the baby. So the team on site enjoyed the presentation. The long and the short of it is that they knew the Shawl Wallah Pashmina scarves were a fit. Right away. The perfect combination of beauty and style, matched with an inspiring story of ethical production and traditional craft. Not to mention the fact that Greg, a locally based entrepreneur/travel junkie, is truly and genuinely trying to do something special for the artisan families he works with. 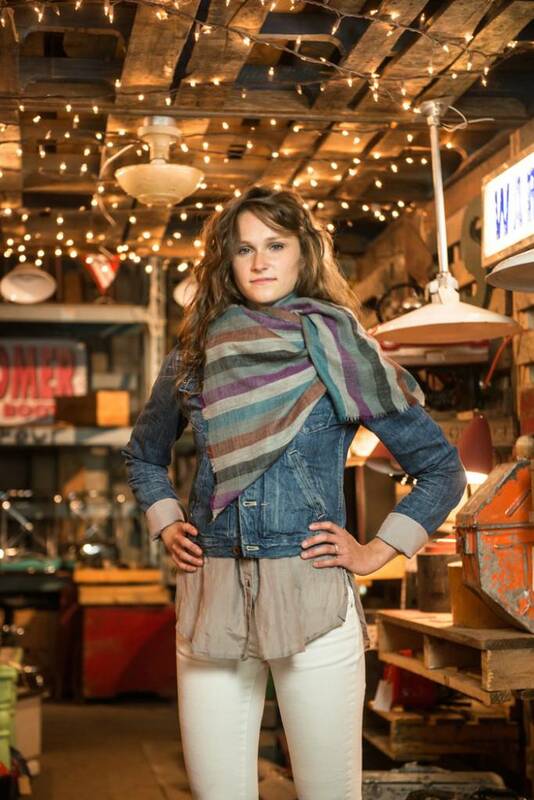 If you’ve been in our store, you’ve probably noticed these amazing scarves. Felt their softness and quality. The traditional processing uses no chemicals, dips or treatments. And the hair used to make it is gently brushed from the goats when they start to shed as the weather warms. Clean, safe, ethical, natural, insanely soft and totally beautiful. What else do you need for your scarf addiction? So check this out. Shawl Wallah is in the final hours of their Kickstarter campaign. They have made their goal, so have upped the ante with a higher goal for the last couple of days. And the reward for your donation is pretty sweet: scarves! Or stop by our store to feel them for yourself!